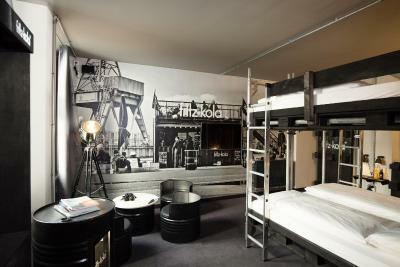 Lock in a great price for Superbude Hotel Hostel St. Georg – rated 8.6 by recent guests! 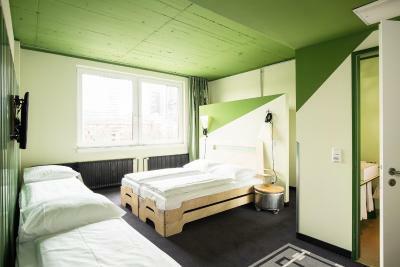 A funky and innovative hotel/hostel in St. Georg, it had all the facilities I expected, and a few I didn't. Very nicely done. 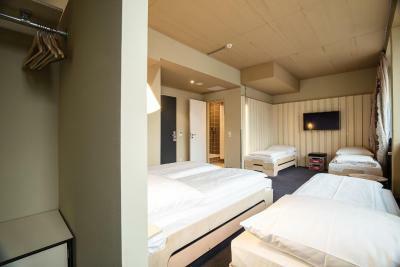 The beds were very comfortable and the staff was very nice! lovely atmospher, friendly staff, dining area spacious and well equiped for continental breakfast or prepare your own food,, located close to large grocery store with many instore busineses like cleaners, barber/beauty shop, fast food shops and pharmacy to name a few and within a reasonable walking distance from the Central Train Station. Very good location. Staff were great - friendly and helpful. The place itself is fantastic. Only draw-back was that in our three bed room, there was no light over the third bed. Amazing, very friendly staff, a very open-minded hotel, great facilities (you could prepare your own food or order pizza/curry for around 4 EURO and there is an area where the kids can play table soccer, games or pingpong. 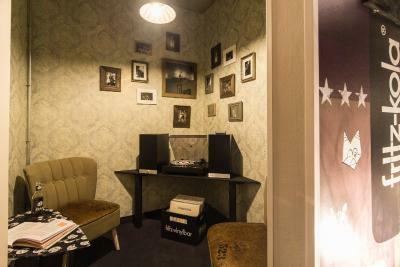 The best part: thematic family rooms (based on stories from local celebrities - we had the Fritz Kola room in black and white with a small room where you could even play your vinyl records). Will certainly recommend to others. We got upgraded, to a beautiful room. Such a cool place, would love to come back as som as possible! Super funky and the staff were very friendly and helpful. The breakfast was also very delicious. The staff was wonderful, the breakfast was delicious, and our room had fun and unique decorations. Near Station. Will take you to sights. Facilities including laundry and drier gratis. Didn't try breakfast as we are in a hurry but it looks great. 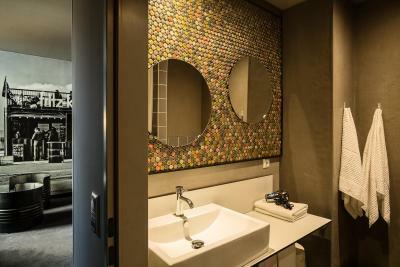 Superbude Hotel Hostel St. Georg This rating is a reflection of how the property compares to the industry standard when it comes to price, facilities and services available. It's based on a self-evaluation by the property. Use this rating to help choose your stay! 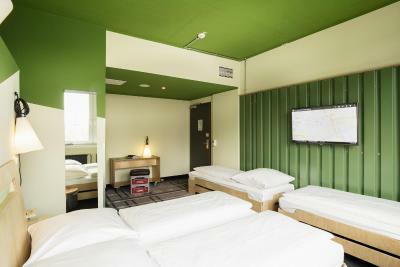 One train stop from Hamburg Central Station, this hostel offers colorful rooms with flat-screen TVs and free internet. 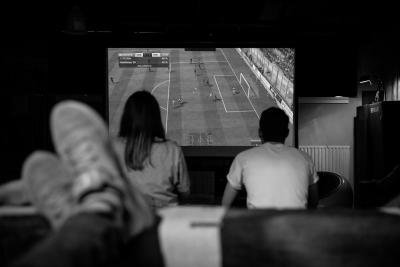 It has a private cinema and games room with Nintendo Wii. 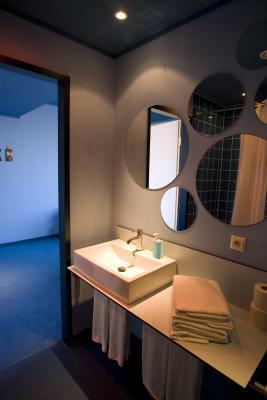 Each room at the Superbude Hotel & Hostel St. Georg includes a TV, private bathroom and safe. Rooms feature bright colors, large windows and unusual accessories. Towels and bed sheets are provided free of charge. 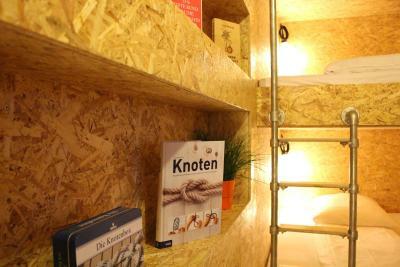 A breakfast buffet is available each morning at the nonsmoking Superbude Hostel. 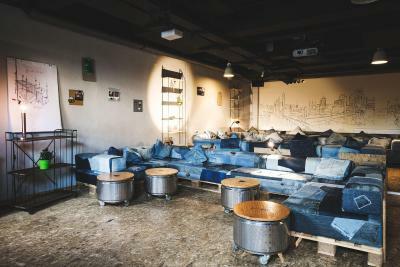 The Bottlebar serves drinks and snacks 24 hours a day. The spacious public areas feature free Wi-Fi and trendy design. 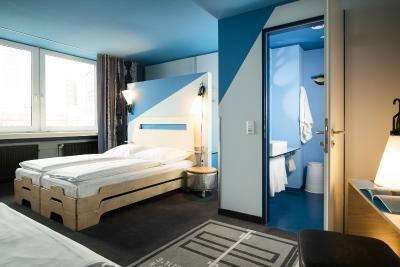 When would you like to stay at Superbude Hotel Hostel St. Georg? This newly renovated room from 2015 is completely decorated in pink-yellow. 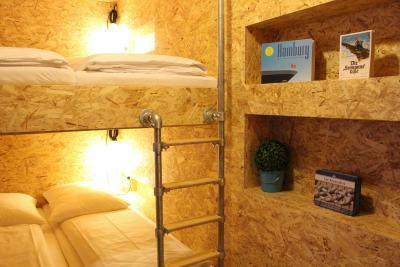 There is a loft-bed for 2 people as well as 2 bean bags. It also has a stereo. 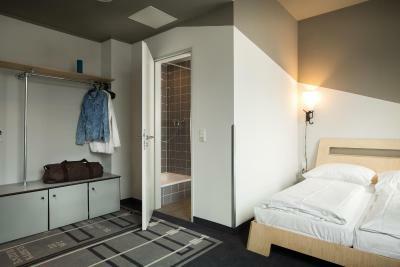 House Rules Superbude Hotel Hostel St. Georg takes special requests – add in the next step! Superbude Hotel Hostel St. Georg accepts these cards and reserves the right to temporarily hold an amount prior to arrival. Comfy bed, great shower, loads of space in the bedroom. Great value for money and a decent location. Staff was very friendly and helpful - we were even fortunate enough to get an early check-in. Could be better light in the bathroom (not suitable for make-up for woman) :) The rest is perfect. Very clean, charming hotel. We especially liked the staff. 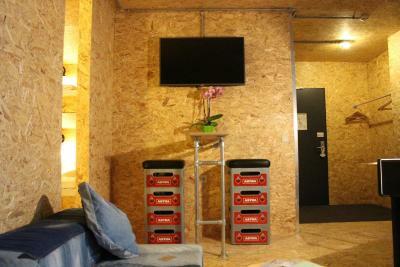 We got everything we have asked - starting with luggage storage, taxi, printing ticket and etc. Nice breakfast: delicious Belgium pancakes, fresh bread, big variety of juice. Close to metro station. There wasn’t much to do in walking distance. Breakfast was too expensive. Double room was two single beds together. Kind of annoying to sleep being a couple. Breakfast was the quite good, place looks really modern and cool. Kinda industrial/hipster looking. Staff was helpful and room was clean and big enough for money. Great quality/price ratio! Original room furnitures. There are interesting gifts included. Friendly receptionists! A friendly welcome by receptionist, no fuss check in and the room was very clean with everything we needed for a couple of nights stay. Can have more lights in the room. At night it’s a bit dark. 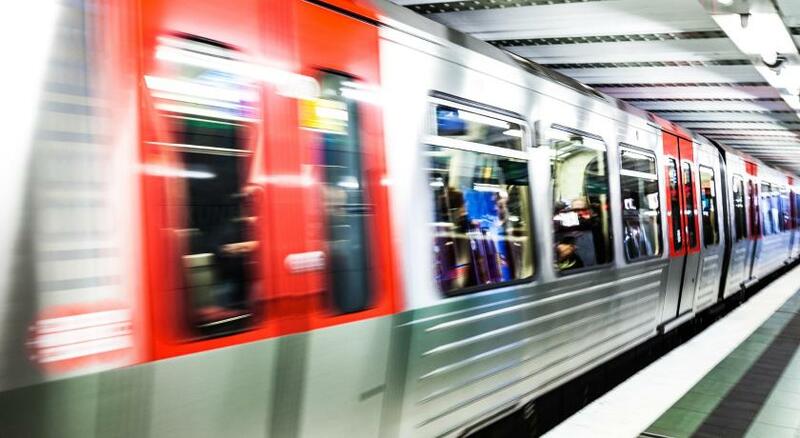 Nice location, close to the subway and just 12 mins walk from the central station. The room we stayed “Paloma” is just cute and cozy. 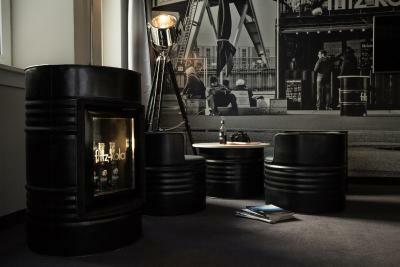 I like all the creative decoration in the hotel. The staff are also very nice and helpful. Will definitely come back again!